The boring bar is quite simple...its used to make holes bigger. It could be utilized to bore cases for larger cylinders or cylinders for larger pistons. What makes this so unique is that the boring head floats on air. When activated, it accurately centers in the bore to unsure the roundest hole possible without misalignment. 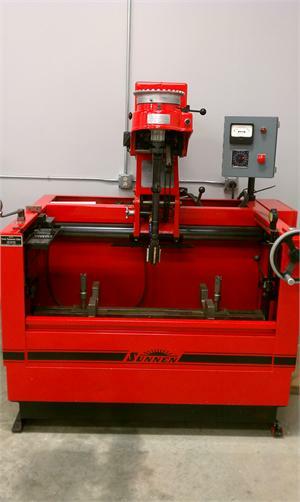 This is a Sunnen CK10 Precision Honing Machine. Once cylinders come out of the boring bar, they come here. With skill, this machine allows perfect sizing of cylinder to piston while maintaining a perfect crosshatch pattern in the cylinder. By utilizing the plateau honing process, better oil retention is acheived, allows for quicker break in period, better ring seal, and extended engine life. 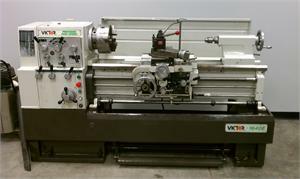 The Sunnen VGS-20 Valve seat and guide machine. 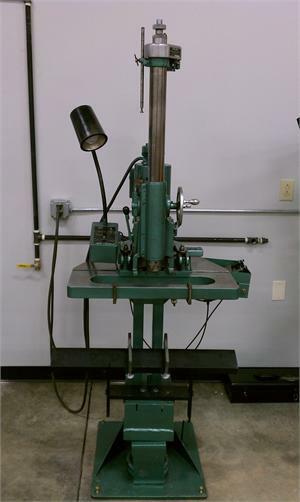 While no longer in production, this is still one of the most desired pieces of equipment in an automotive machine shop. Similar to the boring bar, the head floats on air to ensure perfect alignment to the valve guide when installing and/or machining valve seats and guides. It has other uses, but this is where alot of the magic happens when it comes to making heads be all they can be. The lathe and mill....both standards of any machine shop. 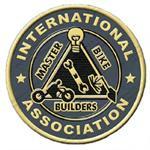 With these pieces of precision equipment, a machinist can make just about anything. 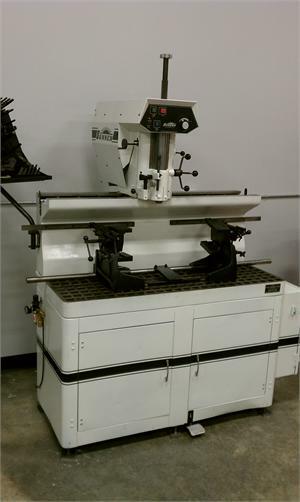 I use it primarily for decking head surfaces or for making small component parts for customs. 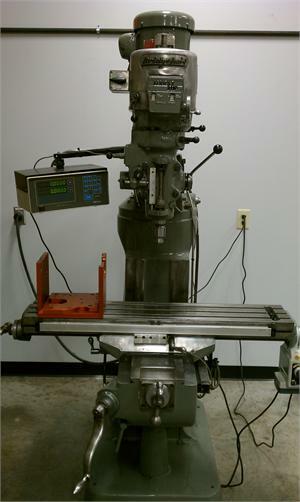 The mill is the most versatile machine in any machine shop. 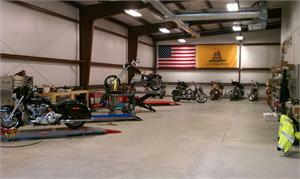 It can be used to bore cases, machine compression releases, make tools, cut custom pistons, etc. It's been said this is one of the few pieces of equipment that is "self-replicating". For dealers, we also offer on site training in EFI / Carb tuning as well as seminars for your employees and customers, educating them on performance engine upgrades. You can tune fuel injection EVEN IF YOU DONT HAVE A DYNO. With our training, you can tune better and faster than you thought possible with the Screamin Eagle Race Tuner, Pro Super Tuner, or TTS Mastertune.